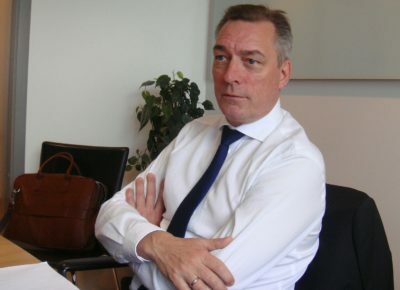 Norway’s defense minister had the threat of cyber attacks high on his agenda when he met with foreign correspondents in Oslo earlier this week, and that was before news broke of the massive attack on industrial concern Norsk Hydro. Frank Bakke-Jensen referred to cyberspace as the new battleground that potentially poses more challenges than the traditional ones on land, sea or in the air. “We need to make this part of the debate in Norway, how to modernize our defense and our cyber defense,” Bakke-Jensen said. That will be part of the Norwegian government’s new long-term plan for defense, the work on which began last fall. “We see changes in the threat picture, tied among other things to hybrid threats, technological development and digital vulnerability,” Bakke-Jensen said at the time. This week he noted how both the public and private sectors are targeted in cyber attacks. Later that same night, the partly state-owned aluminum producer Norsk Hydro was subjected to a major cyber attack that infected its systems with a virus containing a ransom demand. By Wednesday midday, Hydro remained mostly offline but company officials claimed they had isolated the virus. They’d already dismissed any thought of paying ransom and an international investigation into the attack was underway. 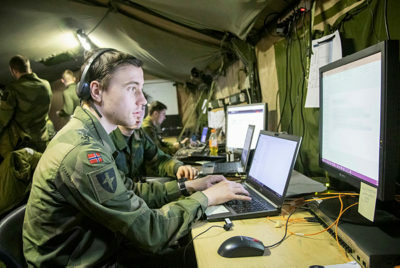 The cyber threats clearly facing Norway also involve developments in the far northern areas, notes Bakke-Jensen, specifically mentioning what he this week called “the Russian challenge” that’s “complex.” After 20 years of improved relations since the end of the Cold War, Russia has been reasserting itself as a threat once again. Its fighter jets are frequently flying along Norway’s coast, it recently mounted mock invasions of Finnmark and sent jets straight towards Vardø and the US’ expanding radar and surveillance system located there. Russian officials have claimed they’ve been provoked by increased military exercises in Norway, a rising presence of US and other NATO troops in Norway and, not least, the radar station at Vardø. They’ve recently provoked Norway as well, not least through their alleged jamming of GPS signals in the northern areas. Civilian Norwegian aircraft have lost their GPS navigation while flying in and out of Kirkenes, for example, and it’s a serious problem for the civilian population and emergency services that rely on GPS in a vast and remote region. Earlier this month came accusations that Russia is conducting a secret electronic war on Norway. Newspaper Aftenposten reported how Russia is believed to have aimed new weapons in the form of jamming systems meant to knock out GPS/NAVSTAR, Inmarsat and Iridium, radio communication, base stations and the mobile phone network. Aftenposten reported how Russian military vehicles armed with the new weapons drove from their base in Petsjenga last October, for example, and set up an electronic war system known as Sjitel just over the border from Norway, around 16 kilometers from the border crossing at Storskog. Its antenna was pointed towards the airspace over Norway. Norwegian GPS signals from satellites began shortly thereafter. Aftenposten’s report was based on photos, maps and tables laid out by Norwegian military intelligence, investigations by police in eastern Finnmark and a report from Norway’s national communications authority. There were at least three periods of GPS jamming in Finnmark last year and another in January that officials believe may have been targeted at oil exploration activity in Norway’s sector of the Barents Sea. While the jamming last fall seemed timed to coincide with NATO exercises in Norway, there were no military exercises underway in January. That has especially concerned Norwegian officials who have complained to their Russian counterparts. Bakke-Jensen told foreign correspondents in Oslo on Monday that Norway has since presented evidence of the GPS jamming to Russia. “They said ‘thank you, we will come back to you,” Bakke-Jensen said. “For us, that’s a positive response.” Earlier complaints from Norway, especially after Norwegian territory was clearly affected by jamming while neighbouring Finland was not, have largely been dismissed. “To be a neighbour of Russia, you need to be patient,” Bakke-Jensen said. On a more serious note he claimed that Norway “wants to be a predictable neighbour” to Russia and maintain the cooperation established when the Cold War ended. He conceded that Russia has been provoked by NATO exercises and, not least, the US’ radar in Vardø. “We balancing activity in the North to try not to provoke,” Bakke-Jensen said, stressing the cooperation Norway and Russia still have regarding fishing rights, search and rescue operations and open border-crossing for local residents. He said the tensions in the north, however, show the importance of military exercises in the north, also with other Nordic allies. A new exercise was starting this week and involving nearly 10,000 soldiers from NATO members Norway, Great Britain and the US, plus non-NATO members Sweden and Finland. 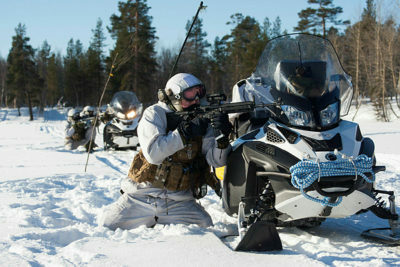 The so-called “Northern Wind” exercise will run through March, with army personnel training together along the border between Sweden and Finland.